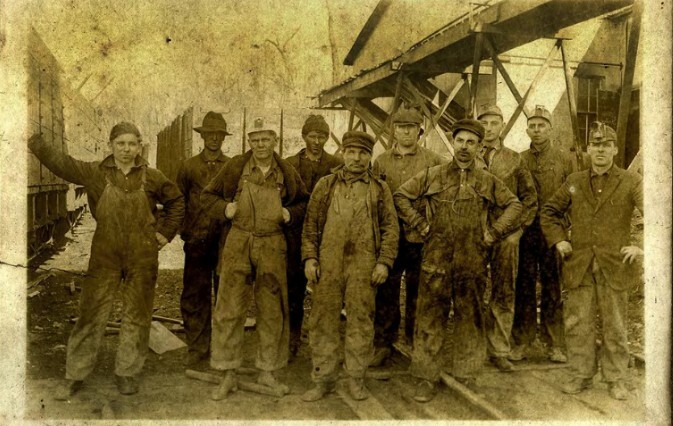 Jesse Kreitzer's great-grandfather, Thomas Clarence Chapman (known to many as "TC"), was a coal miner in a place that's not exactly known for having much coal: Iowa. Though its land no longer yields much of the stuff, Iowa had, until the middle of the 20th century, a fairly robust coal-mining industry. That filial connection to a bygone industry was Kreitzer's inspiration for his current film project, Black Canaries, an unusual version of which will play on two Vermont screens this week. Black Canaries is a fiction film inspired by Kreitzer's interests in his own family history and in, as he puts it, "rural storytelling." "I choose these stories because I have my own longing to reconnect," he says by phone from the Woods Hole Film Festival on Martha's Vineyard, where his 2013 short Lomax was the opening-night film. "I've been living in cities for 10 years, and have every interest in getting back to Vermont ... I have a longing to get back to nature." Kreitzer was raised in Marlboro, and says he's been making short movies since he was in third grade. He credits both his elementary school and Brattleboro's Center for Digital Art, which he attended for two years, with inspiring him to tell stories visually. "It's rare that a high-schooler will get exposure to the works of [Russian master filmmaker Andrei] Tarkovsky, for example. There were some really advanced teachings that I was exposed to in my high-school years," he says. LOMAX - Teaser from Jesse Kreitzer on Vimeo. Currently an MFA candidate and instructor in the Department of Cinematic Arts at the University of Iowa, Kreitzer is making Black Canaries as his MFA thesis; he intends to enter it into national and international film festivals when it's complete. To get to that point, though, Kreitzer has made some unorthodox decisions about how the film will be funded, exhibited and produced. The norm for cash-strapped modern media makers these days is to seek out, using such sites as Kickstarter and Indiegogo, "crowdfunding" for their projects. Kreitzer, though he's had some success with that method, is opting instead to "roadshow" a package of several of his short films. Admission is free; tax-deductible donations are welcomed. Any proceeds raised in this manner will go toward the completion of Black Canaries. "For me," Kreitzer says, "[crowdfunding] is something so impersonal ... There's something much more personal about presenting your work face to face, and raising money in person, without going through an online platform." Attendees of these screenings — including one at Brattleboro's Latchis Theater on August 3 and another at Montpelier's Savoy Theater on August 6 — will also see an "animatic" of the first 10 minutes of Black Canaries itself. A kind of semi-animated storyboard with a partial soundtrack, the animatic (drawn by storyboard artist Ben Mackey) gives viewers a rough vision of the film's final "look." On the day he spoke to Seven Days, Kreitzer's four-city roadshow tour had yet to begin, but was optimistic about the fundraising potential of the animatic. He notes that, in most cases, raising money for a film is a Catch-22: You can't raise money without showing your footage to potential investors ... but without investors' money, you can't create any footage. Thus, the animatic approach. Kreitzer describes Black Canaries itself as partly inspired by Italian neorealism: He'll cast many nonprofessional actors and shoot using only available light, including "lamplight, candle light and oil lamps." The film's story is also inflected with magical realism: In it, the titular miners discover a rare mineral that, when ingested through their tear ducts, briefly provides blissful relief from their toilsome lives. Another trend that Kreitzer is bucking: Black Canaries will be shot not just on 35mm film, but on Super 35mm film, a specialty format even in the analog age. It's not that he's against digital imagery, Kreitzer says, but that, in this and all his moving-image projects, he wants form to follow content. That is, he says, because Black Canaries is a period film (it takes place about 100 years ago), he felt that an analog format was the one best suited to present its story. As a bonus, Kreitzer was able to purchase a 35mm camera for less than the cost of renting, for just one week, a high-end digital camera. "It's so unfortunate that [35mm cameras] have 'depreciated so much in value,'" he says, heavy on the irony. "For me, they're always going to be the standard. I'm now a proud owner, and I'll be using it for many years to come." Black Canaries screens at Brattleboro's Latchis Theater on Sunday, August 3, at 4 p.m., and at Montpelier's Savoy Theater on Wednesday, August 6, at 6:30 p.m. Click here for more information.